A denial of an adoption petition can be a frustrating setback. When an adoption petition isn’t approved, the good news is that there is recourse in the form of appeals. Protect your rights and reverse erroneous decisions. At Finderson Law, LLC, our Fort Wayne adoption lawyers are skilled at helping clients pursue appeals when adoption petitions have been denied. We are ready to help you navigate this complex process, advocating your rights and advancing your interests at every step of way. Call (260) 420-8600 or email our firm to find out more about how we can help you position an appeal for success. 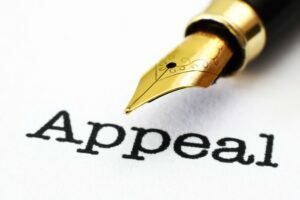 An attorney can review your petition and explain why it was denied, as well as what you need to do to pursue an appeal. Strict filing deadlines – Typically, there’s limited time to pursue an appeal of a denied adoption petition. A lawyer can review the court’s decree, explain the filing deadlines and help you take action as soon as possible to get your appeal on the path to a favorable outcome. Contesting or challenging an adoption – Indiana law explains that “an appeal of an adoption decree shall be decided on an expedited basis.”1 In particular, someone who consents to an adoption cannot contest the adoption or establish paternity after 30 days of receiving notice of adoption. There are a number of other issues or challenges that can arise after an adoption petition is approved or denied. For experienced representation, guidance and legal support for adoption appeals and postadoption issues, contact Finderson Law, LLC. If your adoption petition has been denied – or if you need help contesting an adoption, call a Fort Wayne adoption lawyer at Finderson Law, LLC at (260) 420-8600 or email our firm. When you contact us and set up a free, no obligations consultation, you can get clear answers about your options for pursing an appeal. Diligent and dedicated, our attorneys are problem solvers who are skilled at guiding clients through the appeals process and helping them resolve various postadoption issues. We are ready to partner with you, protect your rights and interests and help you obtain your legal objectives. Please don’t hesitate to contact us to find out more about your legal options and how our representation can make all the difference in your appeal.